Whether you like cruising groomers or skiing bumps, this list of my top 5 trails on the frontside will have something to suit your fancy. 1. Schoolmarm – This green trail goes from the top of Dercum Mountain all the way to the bottom of the Peru Express. It is 3.5 miles and has rollers and banked turns. About halfway down you can take the kids through Riperoo’s forest and ski through his dog house. It is a great run to use as a warm up or to master the skills you’ve been working on in ski school. 2. 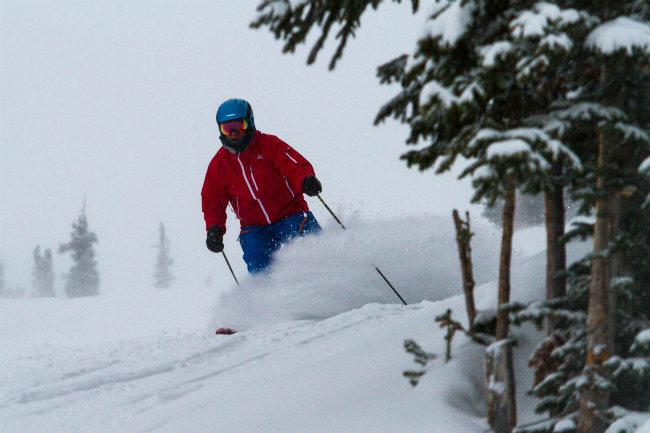 Paymaster – Paymaster is located off Schoolmarm and is one of Keystone’s gentler blue groomed runs. It features a long run out in the middle of the trail where you can work on your clean carved arcs. 3. 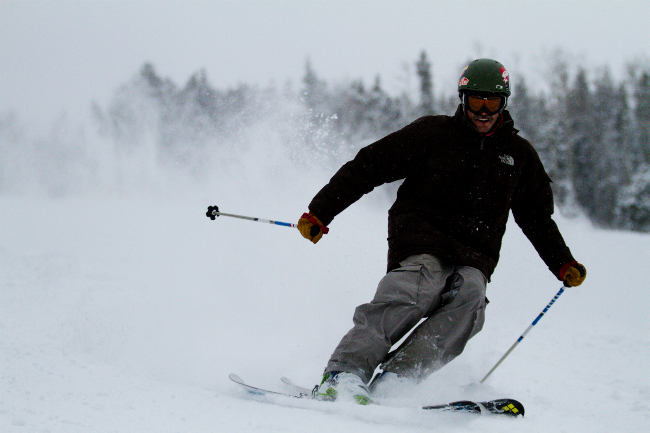 Jackwhacker – After you’ve perfected Paymaster, Jackwhacker is a little steeper and a little more challenging. This rolling blue trail is a great way to transition to steeper runs while still feeling completely in control. It is my personal favorite blue run. Look for it right below the Epic Race arena on Flying Dutchman. 4. Jackface – Located off Spring Dipper, Jackface sits directly above Jackwhacker. 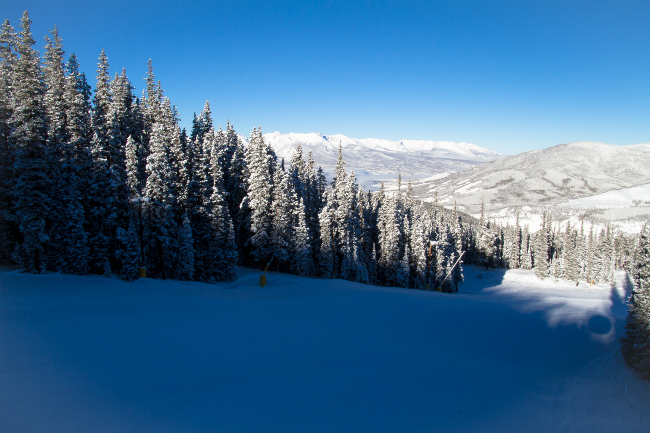 It is a black mogul run that always has soft snow and great bumps. Be sure to avoid the snow fences at the top and watch for little trees sticking up out of the snow. Far skier’s left along the tree line is one of my favorite bump lines on any mountain. 5. Richter to Lower Go Devil – From the top of the Peru Express, Richter and Lower Go Devil are as far skier’s left as you can go. 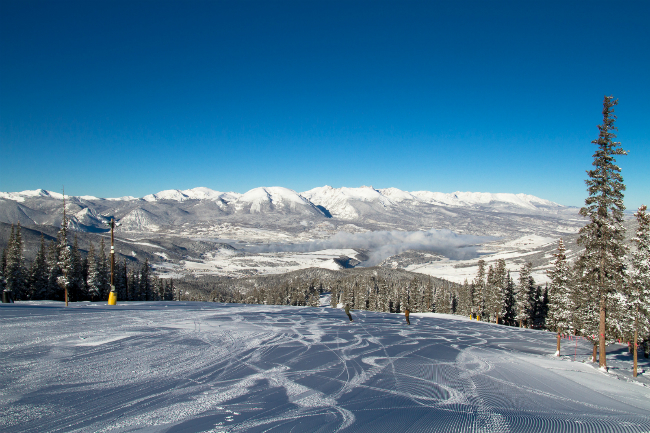 These two runs are located below the A-51 terrain park and are groomed black runs with sustained steep pitches. While it is fun to carry speed on these runs, remember, no straightlining!